Which Query Letters Worked Best? Query Letters that Worked – Why do some agent queries get the attention of top literary agents, while others fail–resulting in only rejection letters? 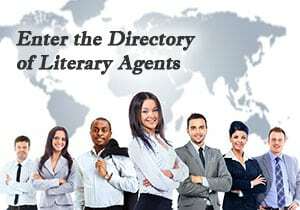 This section of our agent query website is devoted exclusively to author success stories. These author case studies are part of our free training about How to Write a Successful Query Letter and Query Letter Blog written by a former literary agent, former AAR member, and former Marketing & Licensing Manager for a well-known book publisher. The excerpts below are simply short excerpts from the much more detailed author success stories about query letters that worked for authors who used the query letter writing strategies on this website. Click on the following link to see the complete Mark Malatesta Reviews and scroll below to read the excerpts. “I promised myself I’d never write another book unless I got an agent. I’ve never watched so much TV in my life! The other night, however, after you helped me get represented by Al Longden, I had a spark for what might be my next novel!!! Mark Malatesta is the president and founder of The Bestselling Author and Literary Agent Undercover, devoted to helping authors of all genres (fiction, nonfiction, and children’s book) write, publish, and market their books. Mark is a former literary agent with years of experience about query letters that worked. Mark is a former member of the AAR and the former Marketing & Licensing Manager of the publisher Blue Mountain Arts. Mark’s query letters that worked have resulted in book deals for his authors with prominent publishers including Harcourt, Scholastic, Thomas Nelson, Harper Collins, and Penguin Books, resulting in millions of books sold. Click on the following link to learn more about Mark Malatesta and click here to see all Reviews of Mark Malatesta, the founder and owner of this Query Letter website.